Zucchini (courgettes) is another favored vegetable at our house. One of the few that I can get my girls to eat in whatever shape or form from fried to stewed to cakes. One of their favorites though is fried. They would even take these as an after school snack. Dip the zucchini slices into the egg, shake off the excess then dredge it in the bread crumbs mixture. Fry in hot oil until browned and serve with ranch dressing. Presto! Hi Tin and cheh! zucchini anytime of the year is good 🙂 Tin you can also try to dip in marinara sauce, masarap din. Sha! Hello! We like cutting it lengthwise too, like pasta, the kids say. I’ll have to try it steamed. Usually we just saute’ it in garlic and olive oil. Uy, buti ka pa nakatikim ng PATUPAT sa Greece. My grandparents used to make their own during sugar cane harvest. They cook the packages in the vat where the juuice from the sugar cane is cooking, hence getting the caramelization all over. Oh yumm! I haven’t had any in years, and have never even seen it here in the US even in Ca. Hi ces! 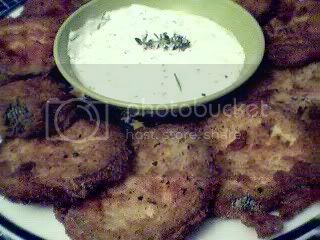 My kids are crazy about this any any veggie cooked tempura style and dipped in ranch dressing. You’d think they’re eating french fries, lol! I hope your kids like it. i’ll try this! it’s a new challenge for me to make my 2 kids eat veggies..sana they’ll dig this! thanks for the recipe! So it’s zucchini time(and frying time as well!) Okey, ‘will do that! kouloukitia in greek which almost like a staple dish here FRIED OR STEAMED. the greeks slice this extra thin lengthwise, like yours coat with flour then deep fried. if steamed then they just drizzle with olive oil. but.. hey I WAS AT ILOCANO STORE YESTERDAY THEY GAVE ME SOME PATUPAT BA YON… and the recipe..